A woman in her mid-50s presented to Cleveland Clinic with a large intracranial aneurysm that had ruptured behind the right eye. Normally the rupture would have excluded her as a candidate for treatment with a flow diverter stent because of the requirement for dual antiplatelet therapy — one limitation of these otherwise lifesaving devices. But our team of Cerebrovascular Center neurosurgeons and neurointensivists developed a special plan in her case. First we performed a cerebral angiogram with conventional endovascular coiling, passing a catheter through her groin into the artery containing the aneurysm and then releasing platinum coils to induce clotting. This was standard therapy before the advent of flow diverters, but coiling tends not to work well in larger aneurysms. In this patient’s case, however, that approach gave us an opportunity to stabilize the aneurysm for the short term. She stayed in the neurological intensive care unit for two weeks, during which time she required a ventricular shunt to drain fluid from her brain. Following placement of the shunt, we were able to start her on aspirin and clopidogrel to prevent clots from forming within the flow diverter device. Once her medications were on board, we performed a second angiogram using the Surpass Streamline™ Flow Diverter (Stryker) to restrict blood from entering the aneurysmal sac, thereby promoting clotting within the aneurysm. The procedure took approximately 30 minutes. Two days after the procedure, the patient was discharged to an inpatient rehabilitation facility and returned home soon thereafter. She is faring well several weeks after hospitalization, completing three to four hours of stroke rehabilitation therapy daily to improve her cognitive and physical function. She hopes to return to work soon. We will see her again about six months after the procedure, when an angiogram will be taken to make sure the aneurysm is occluded and disappearing. The Surpass flow diverter was approved by the FDA in July 2018. Approval was supported by the pivotal SCENT trial (Safety and Effectiveness of an Intracranial Aneurysm Embolization System for Treating Large or Giant Wide Neck Aneurysms) in which Cleveland Clinic was a participating center, enabling us to place the device in 14 cases of large intracranial aneurysms. The case profiled above was the first commercial use of the device in Ohio and among the first in the nation. The Surpass device is a cobalt/chromium- and platinum/tungsten-braided, self-expandable stent indicated for treating wide-neck and fusiform intracranial aneurysms. It is the second flow diverter stent approved in the U.S. for this indication, following the Pipeline™ embolization device from Medtronic. As the indication is specifically for unruptured aneurysms, the above case was a novel application, which speaks to the potential versatility of flow diverter therapy. Both the Pipeline and the Surpass flow diverters are less-invasive, more-durable solutions for the treatment of large-to-giant carotid aneurysms compared with coiling or open procedures. They represent a remarkable advance for previously untreatable aneurysms, allowing us to place a stent across the aneurysm in a short procedure. Diversion of blood flow occludes the aneurysm over months, reducing the risk of rupture (or re-rupture), with potential aneurysm disappearance within a year. The advent of these devices has been revolutionary, as some of the first cases we performed with the Pipeline device in otherwise untreatable patients brought our team to tears. How do the options stack up? Pore density. While its surface area is similar to that of the Pipeline device, the Surpass device has greater pore density. The finer mesh creates a more uniform flow diversion, which can be an advantage. With Surpass, we’re finding the pores are so fine that they appear to not open up as much, enabling better flow diversion and stagnation of blood in the aneurysm, which promotes clotting and healing. The Surpass device is available in longer sizes than the Pipeline device, which may help avoid having to telescope shorter stents inside one another to cover the entire surface area, particularly in large aneurysms. We are exploring that possibility now. At the same time, the longer sizes of the Surpass device make it stiffer, which can make it harder to drop into aneurysms with small openings. For this reason, greater flexibility of the Pipeline device might make it a better choice for very tortuous or bended aneurysms. We are also exploring this possibility. As this science grows, the respective manufacturers are working on improvements to their devices, and at least one other option — the Flow Re-Direction Endoluminal Device (FRED), from MicroVention — is in development. Moving forward, we will need to critically evaluate these new endovascular devices to learn the optimal uses for each. 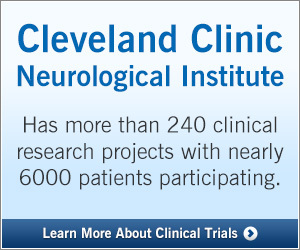 I am excited to be involved in the early experience with them at Cleveland Clinic. The next 10 years will likely witness a continued explosion in these technologies that are enabling patients with previously untreatable aneurysms to look forward to normal, healthy lives. Dr. Bain is Head of Cerebrovascular and Endovascular Neurosurgery at Cleveland Clinic.